The C-STEM Math-ICT Curriculum provides K-12 students with up to 13 years of hands-on integrated math and computer science education with coding in Blockly and Ch/C/C++. C is ranked by IEEE Spectrum as the number 1 of the top programming languages in 2016. Ch is a C/C++ interpreter. Ch is a superset of C with high-level extensions for teaching and learning C/C++, and for rapid software development. The C-STEM program offers every student the hands-on computer science classes that provide them with the necessary skills to be successful in K-12 schools, colleges, and industries. The C-STEM program gives students the opportunity to be creators of digital and hardware technology while developing computational and critical thinking skills relevant to today’s problems. Teaching math with computer programming presents an unprecedented opportunity to improve the success of all students, regardless of their race, gender, family background, income, or geographic location. Algebraic and computational thinking can reinforce each other. It is a cost-effective way to close the math achievement gap and at the same time provide computer science education for all students without adding teachers or new courses. 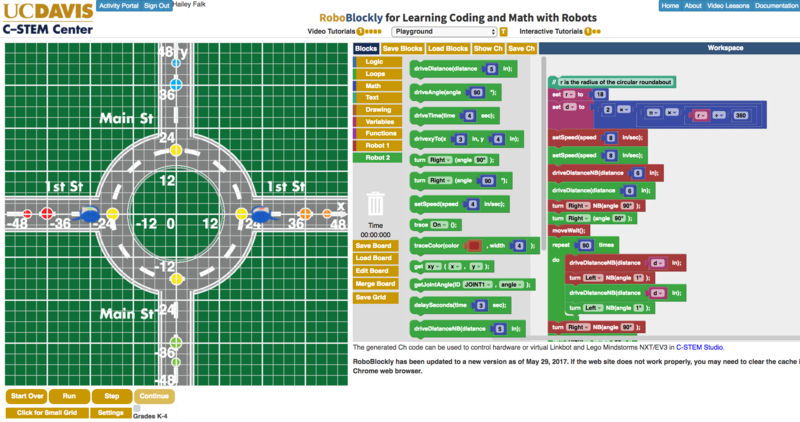 Students get started with coding in elementary and middle schools in a user-friendly drag-and-drop RoboBlockly, which can generate Ch code. 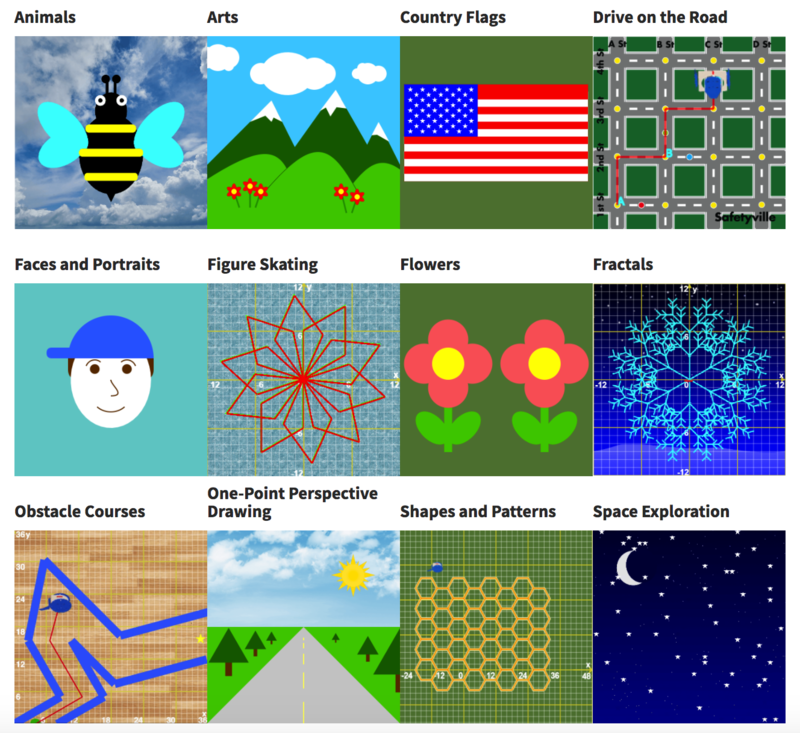 RoboBlockly features fun backgrounds as shown below, activities, and even symbolic blocks for pre-readers, also shown below. Then, they move on to code in Ch using ChIDE with various applications in STEM courses in middle and high schools. Some elementary school students also code in ChIDE. Afterwards, they continue on to program in C/C++ with interfacing with hardware and electronics for hands-on learning. Free and user-friendly C-STEM Studio on ultra-low-cost computer Raspberry Pi and Pi Zero, for as low as $5, lowers the financial barrier for all students to learn coding and computer science. C-STEMbian simplifies the installation of all necessary software components for learning computer science.